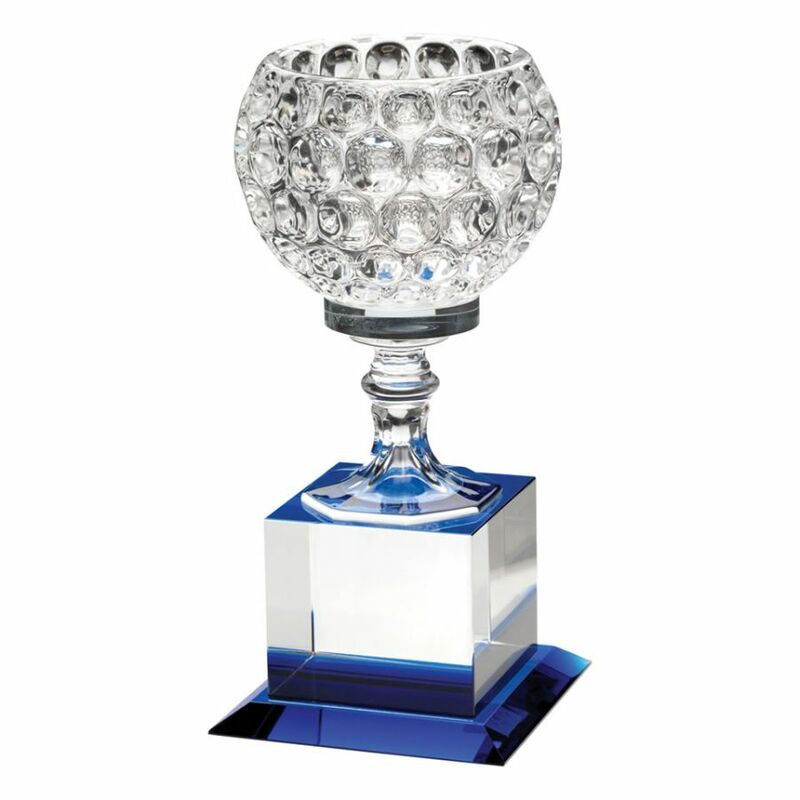 These stylish golf trophies feature a clear glass circular vase with golf ball styling, set on a stem and mounted on a clear glass square shaped plinth with bevelled foot in blue glass. Available in three size options, offered with text and/or logo engraving of the plinth. Supplied in a quality presentation box.